In today’s competitive business environment, it has become increasingly important to reduce manufacturing and raw materials costs. For this purpose, an innovative process of design and manufacturing railway axles is developed. It is based on forging hollow axle which allows a significant reduction in steel consumption. In this work, we tried to analyse how these modifications induced by this new process and design impact on the residual stress field. For this particular study, a numerical chain has been developed going from the simulation of the hot upsetting manufacturing process of the railway axle with the explicit method, to the analysis of the cutting and the press fitting assembly operation. 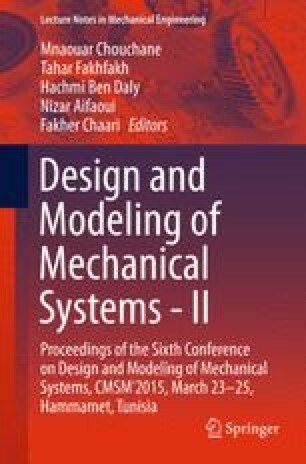 This study consists in modelling the forging process with the dynamic FEM in order to take into account the dynamic phenomena and predict the residual stress field and the initial plastic strain. Then the evaluation of the cutting operation of the upper axle surface and finally the simulation of assembling the wheel on the axle with a static model, to better estimate the stress relaxation and redistribution.